O, I fear you are poisoned, Lord Randal, my son! I fear your are poisoned, my handsome young man. For I'm sick at the heart, and I fain would lie down. If the wild animals of Malibu and the Santa Monica Mountains could sing ballads, "Lord Randall," a classic tale of death by poison, might be their rallying anthem, but since they can't human activists are rallying to be their voice and work for change. 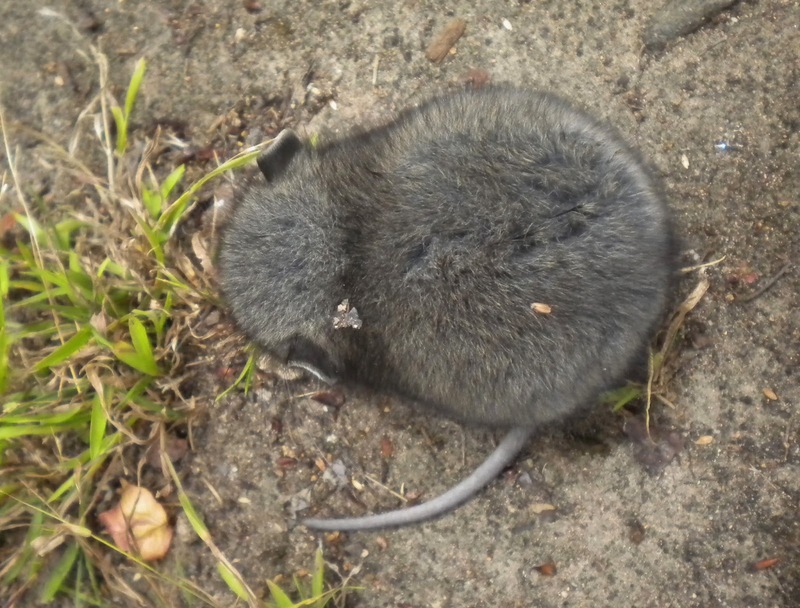 Anticoagulant rat poison kills more than rodents in the Santa Monica Mountains. 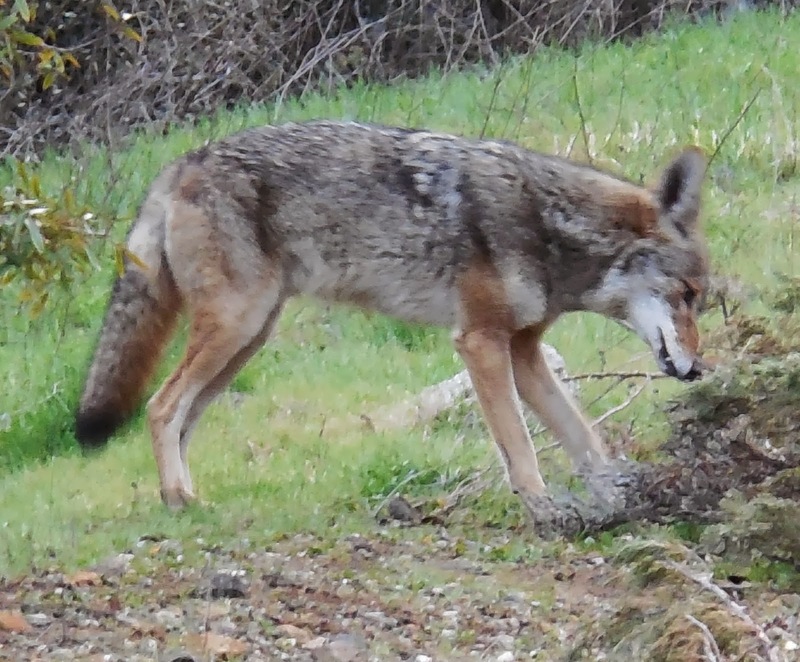 Among the documented victims of inadvertent poisoning are mountain lions, coyotes, foxes, raccoons, owls, weasels, opossums, hawks, snakes, as well as native non-pest rodent species and domestic cats and dogs, but there’s a growing move to stop the carnage and replace unsustainable poison use with wildlife friendly alternatives. Many species impacted by rodenticide die as a result of direct poisoning, but according to National Park Service research, rat poison is a slow and painful death sentence for some species, including bob cats and coyotes. "I can't say it strongly enough, never, ever use poison to control wildlife. 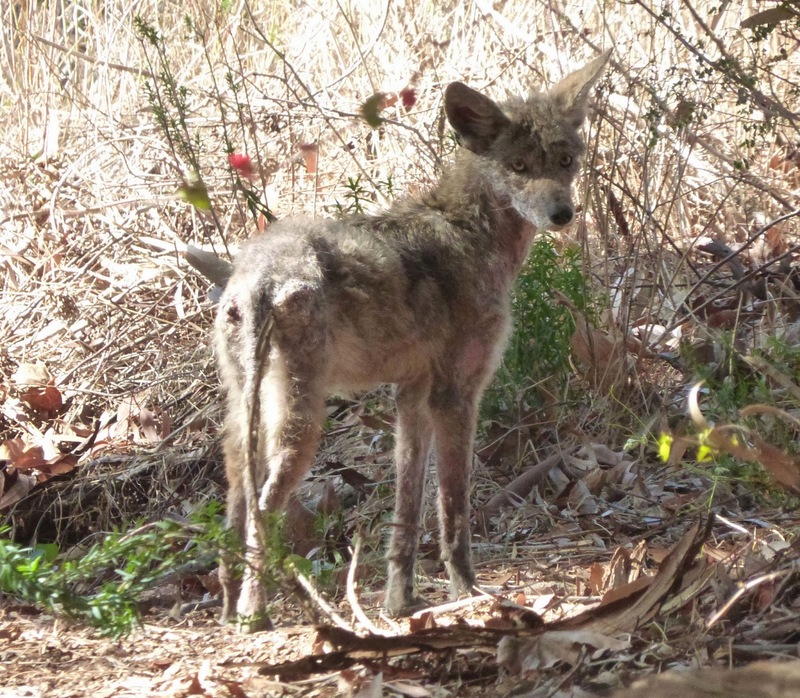 Secondary rodenticide toxicity, and sarcoptic mange [caused by poisoning] is a huge problem right now,” California Wildlife Center Executive Director Cindy Reyes said, at 2010 presentation that I reported on for the Malibu Surfside News. “We are seeing huge levels of toxins in the system. Owls, hawks, bobcats, all come in with poison symptoms. Rat poison is not a good option." Since then, the tide has begun to change. In Malibu, a campaign started by members of the Agricultural Society called Poison-Free Malibu/Santa Monica Mountains, with support from across the community, led to the city passing an anti-pesticide resolution (only the State of California can pass a ban). Predictably, the only ones protesting were the pest control industry. 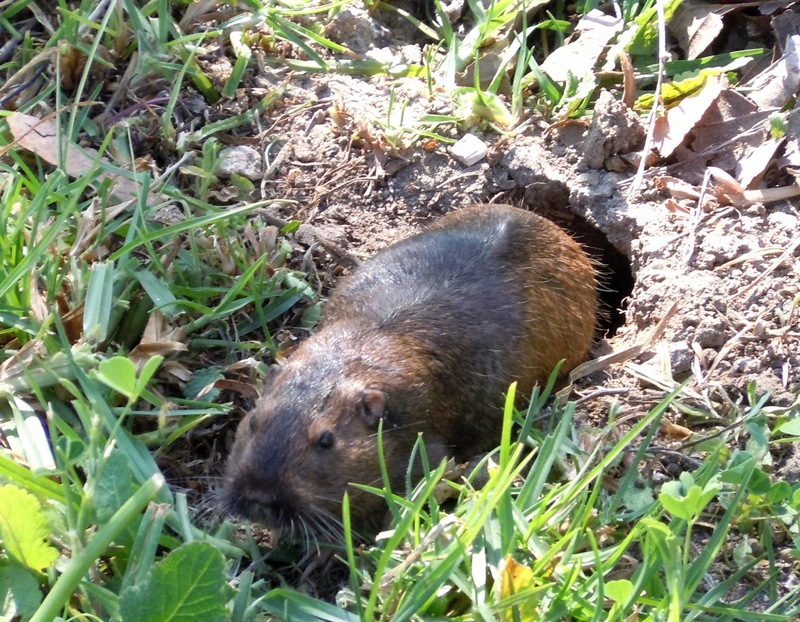 A local organization called the Earth Friendly Management Team has added its voice to the fight and is working with neighboring communities to raise rodenticide awareness and change rodenticide and herbicide use policies. There are still hold-outs in Malibu. Residential pest control companies are doing a brisk business in residential areas. Most of Malibu’s commercial shopping centers continue to use rodenticide bait. One of the worst offenders is Malibu High School, which has repeatedly carpeted the upper playing fields with rodenticides to kill the local ground squirrel and gopher population. But thanks to the Poison Free volunteers, the most dangerous rodenticides are off the shelves in all Malibu shops. 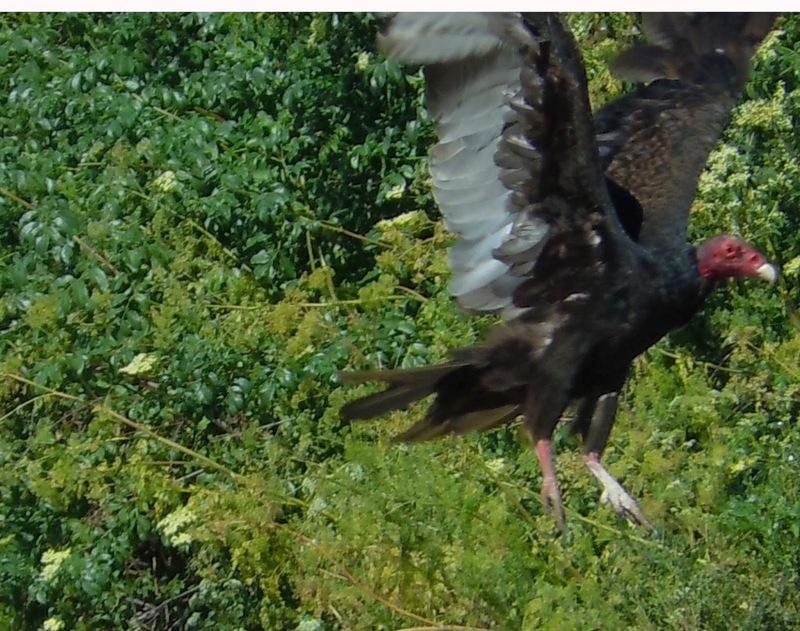 The recently finalized Land Use Plan for the part of Malibu that is in unincorporated Los Angeles County also takes a stand on rodenticides and herbicides. “The use of insecticides, herbicides, anti-coagulant rodenticides or any toxic chemical substance which has the potential to significantly degrade biological resources in the Santa Monica Mountains, shall be prohibited, except where necessary to protect or enhance the habitat itself, such as for eradication of invasive plant species or habitat restoration, and where there are no feasible alternatives that would result in fewer adverse effects to the habitat value of the site," the final draft of the document states. On September 11, 2013, the Calabasas City Council also adopted a resolution urging businesses in Calabasas to no longer use or sell anticoagulant rodenticides, and urging all property owners to cease purchasing or using anticoagulant rodenticides on their properties in Calabasas. Malibu pesticide and water quality activist and Earth Friendly Management Team member Wendi Werner brought this event to my attention. I'm planning to be there and hope to see some of you there, too. 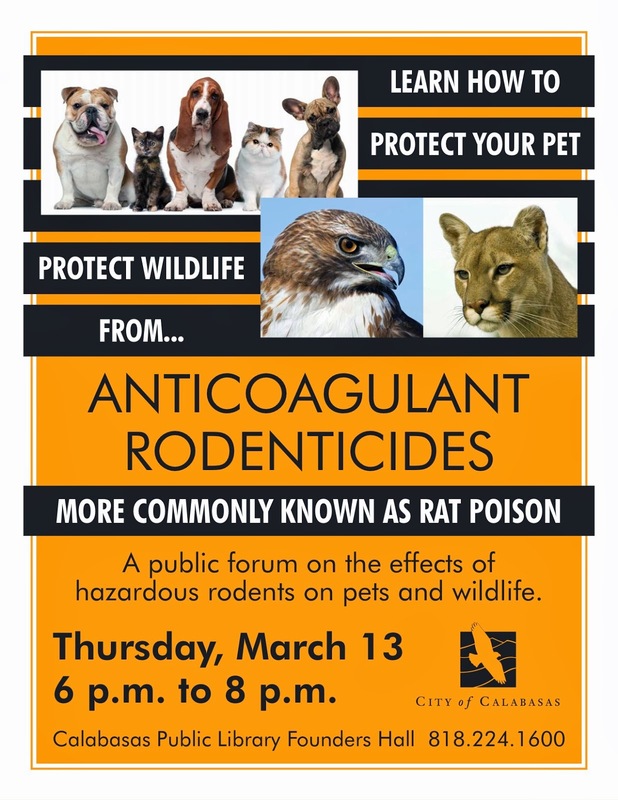 Calabasas is sponsoring a pet safe, wildlife safe, rodenticide awareness community meeting on On September 11, 2013, 6-8 p.m., at the Calabasas Public Library Founders Hall located at 200 Civic Center Way, Calabasas, CA 91302. It’s free and open to the public. NPS biologist Seth Riley will be there to talk about the impact of rodenticides on urban carnivores. He’ll be joined my members of Poison-Free Malibu/Santa Monica Mountains and Julie Elginer, Adjunct Professor at the UCLA School of Public Health. 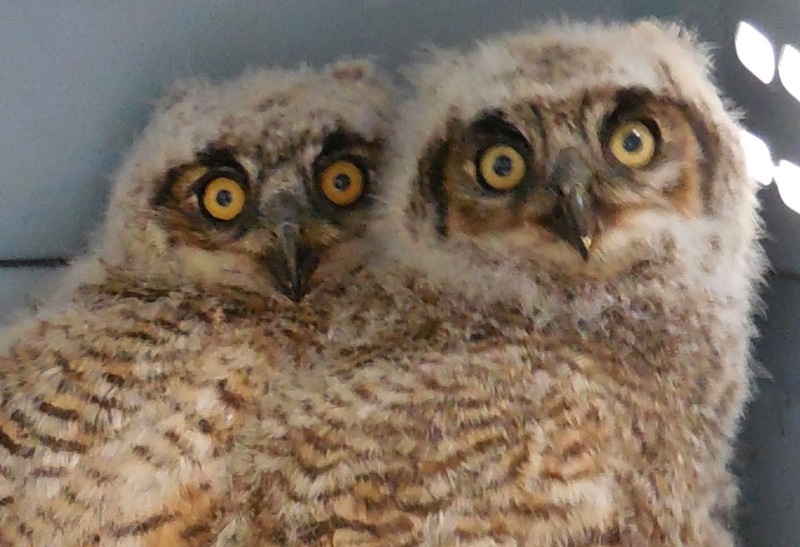 Malibuites who are seeking safe options to rodenticide might consider building or buying an owl box and installing raptor poles in their gardens. Owl nest boxes can help provide incentive for owls to take up residence—this is owl nesting season, so it’s a perfect time to install a box. Just be aware that owls won’t hunt too close to their home base. Prefabricated nest boxes and directions for homemade versions are available from a variety of sources online. 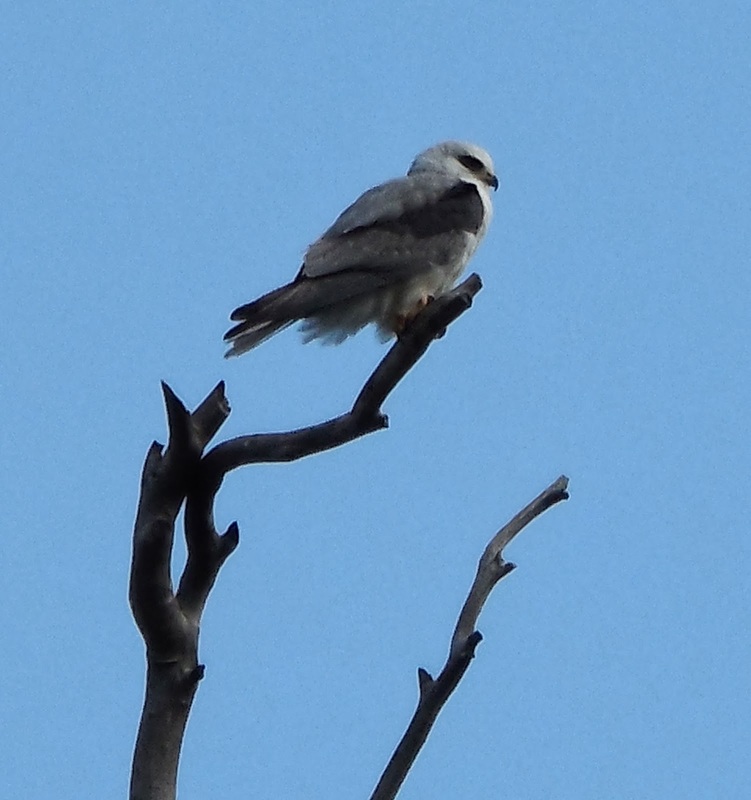 Raptor poles—a simple t-shaped perch on a sturdy pole are good choice for open fields and hills where there aren’t trees or vantage points for hawks to perch. Mechanical snap traps are the most humane choice for eliminating rodents when all other options fail. 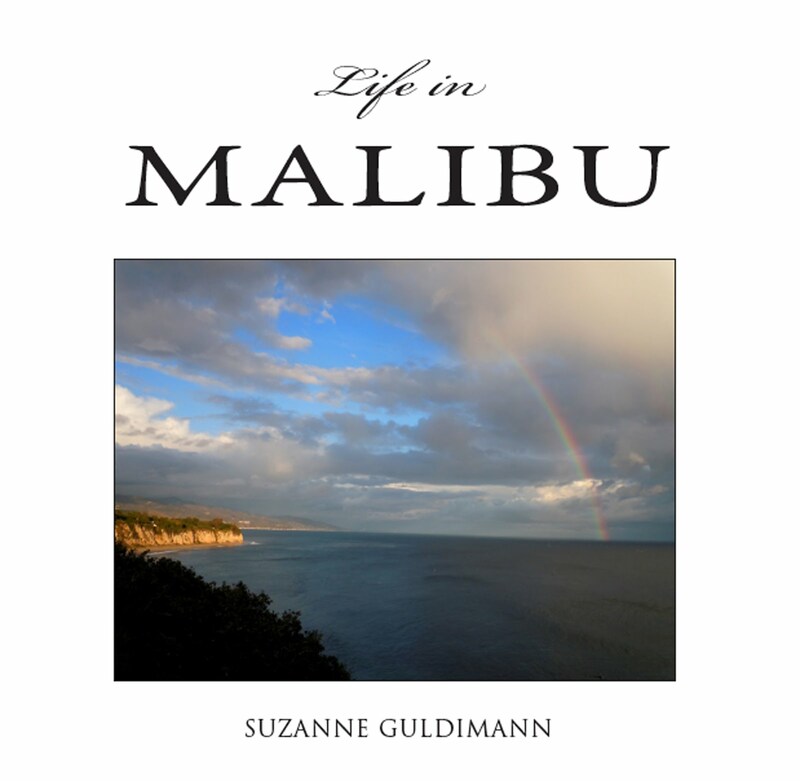 Rodentide was an issue that concerned Anne Soble, the former owner and publisher of the Malibu Surfside News, greatly. She devoted numerous "Publisher's Notebook" entries to the subject and we covered the issue extensively. 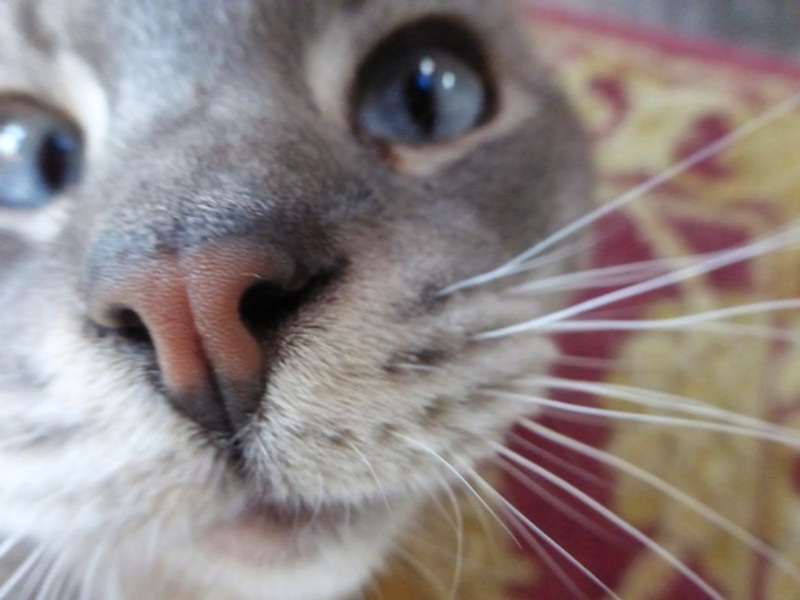 Here's a 2010 article that I wrote about secondary poisoning in bob cats, a 2011 article on the use of rodenticides at Malibu High School, and a 2012 article on the campaign to eliminate anticoagulant rodenticide from Malibu. I hope the new Surfside News will continue to highlight this issue. It's one that is important to many in the community. One thing I learned while covering the issue is that change has to take place throughout the community. Animals don't recognize human boundaries. 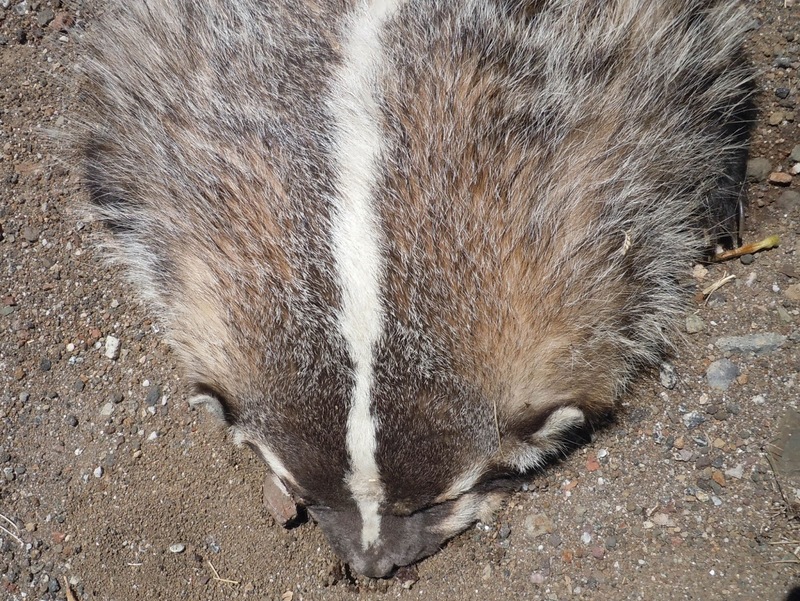 Animals in our "poison free" backyards can easily be poisoned by neighbors who are not aware of the risk. We need to all work together on this campaign and get the word out to every one.